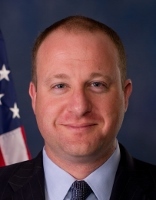 Governor-Elect Jared Polis’ seven transition committees on Monday announced upcoming telephone town hall meeting dates as part of their ongoing engagement of the public, gathering feedback and opportunities to make government work for all Coloradans. The tele town halls are part of an open, and inclusive transition process. Through its website, www.BoldlyForward.co, the public has been encouraged to get involved in the transition process by applying to volunteer on one of the subcommittees, submit their ideas for improving Colorado or engaging in public events like these tele town halls. Since launching following the election, committees and working groups have been keeping a busy schedule. 2. Assessing and gathering perspectives about each department under the governor’s executive control to prepare a report about opportunities and considerations relating to the operations of the department. The public can most actively participate in tele town halls by using the web-link available in the Events section of the website. The web interface will allow users to ask questions using a chat feature or to virtually “raise their hand,” to be called on to ask a question or share their thoughts. Participants joining by phone will be given instructions at the start of the call for submitting their questions by email or text. Each tele town hall allows for committee members to listen to members of the public and seek their input on improving the various agencies in that area. “An important part of the transition subcommittees’ work is to solicit public input on how to improve the way state government operates in order to enhance the quality of life and expand opportunity for all Coloradans,” said Mara Sheldon, spokesperson to Governor-Elect Polis.